Aisle Runner: A long piece (or pieces) of fabric that extends from the entrance of the aisle to the ceremony site. Amphitheater Seating: A wedding seating arrangement where the rows of chairs are arranged in sloping tiers so the guests can see over the row in front of them. Blusher: A style of bridal veil that is short, worn over the face, and usually falls to just below the neckline. Cascade Bouquet: A traditional bridal flower arrangement, where the bride's bouquet is arranged to give the flowers a loose, falling or cascading appearance. Fondant: A type of cake icing made of sugar, gelatin, glycerin, and corn syrup. It gives cakes a firm, smooth texture when finished, and is more expensive than other icings. Hurricane Glass: A glass enclosure that is placed around candles to protect the flame. It pretty much looks like a large, wide vase. Most rented venues require Hurricanes to prevent fire hazards. Mantilla: A long, scarf-like veil that drapes over the bride's head and shoulders. Organza: A thin type of plain-weave, sheer fabric that is traditionally made from silk. Often used in wedding dresses and bridesmaid dresses. Procession: When the wedding party walks down the aisle at the beginning of the ceremony, before the bride. It also refers to the music played as the wedding party walks down the aisle. Recession: When the bride, groom, and wedding party departs down the aisle at the end of the ceremony. Also refers to the triumphant, exciting music that plays during this part of the ceremony. Russian Service: A type of sit-down meal that happens during the reception. Think of this as restaurant-style, where each guests' place at the table is set, and waiters bring the meal on platters to each guest. Shantung: A heavy fabric that is similar to silk, and often used for wedding dresses or bridesmaid dresses. 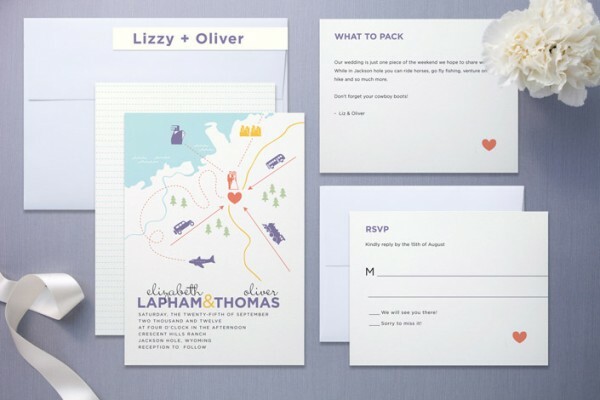 Stationery: Fine paper or envelopes used for writing letters, notes, invitations, and other greetings. Commonly confused (in meaning and spelling) with the word "stationary", which refers to a fixed, immovable object. Theater Seating: A wedding seating arrangement where all chairs face the toward the front, where the ceremony will take place. Tulle: A light, airy fabric that seems mesh-like in quality. It's the same type of material that you would find on ballerina tutus. Wedding Party: A group of close friends and family who assist the bride and groom on their wedding day. Within the Wedding Party, there is the bridesmaids and Maid of Honor (who assist the bride), and the groomsmen and Best Man (who assist the groom). White Bar: A bar that only serves "white" drinks. For example, at a White Bar you would find drinks such as champagne, vodka, gin, or white wine - but not red wine, dark rum, or beer. Is your head spinning yet? 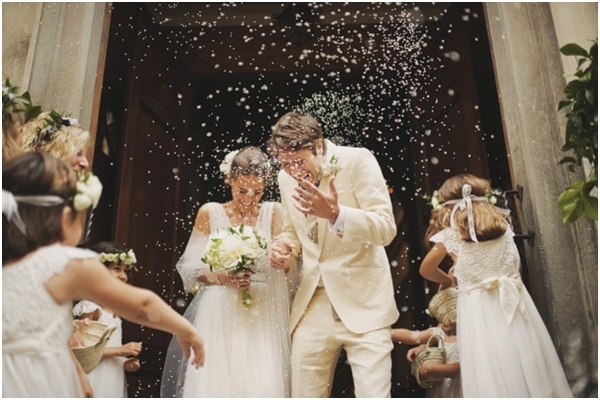 There is definitely a lot of wedding vocabulary to learn, but you'll get it eventually! If you're ready to move on to a more advanced lesson, check out Bride Guide Magazine's Complete Wedding Dictionary. You and your spouse-to-be will be chatting about tussy-mussy's and swagging in no time!